Dr. Fazil Mohamed believes that each patient deserves attention to detail with compassion and care. That is exactly what he’s provided his patients over the last ten years since completing his residency. He is bringing a fresh perspective to medicine to the residents of Wilmington. 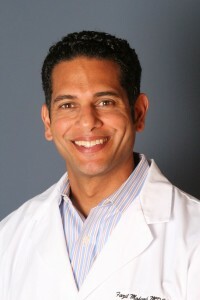 Dr. Mohamed is board certified in Obstetrics and Gynecology. He is a native of Washington, D.C. and received his undergraduate degree from Howard University. He received his medical degree from the University of Maryland School of Medicine, Baltimore, Maryland. Dr. Mohamed completed his chief residency training in obstetrics and gynecology at Crozer-Chester Medical Center, Upland, Pennsylvania. Dr. Mohamed believes that the women of Wilmington should have a choice and play an active role in decisions regarding their health and well being. Dr. Mohamed is a health coach with Take Shape For Life, assisting women in reaching healthy life style goals. Preventative medicine is essential as is access to a provider with a wealth of knowledge and experience in women’s health.